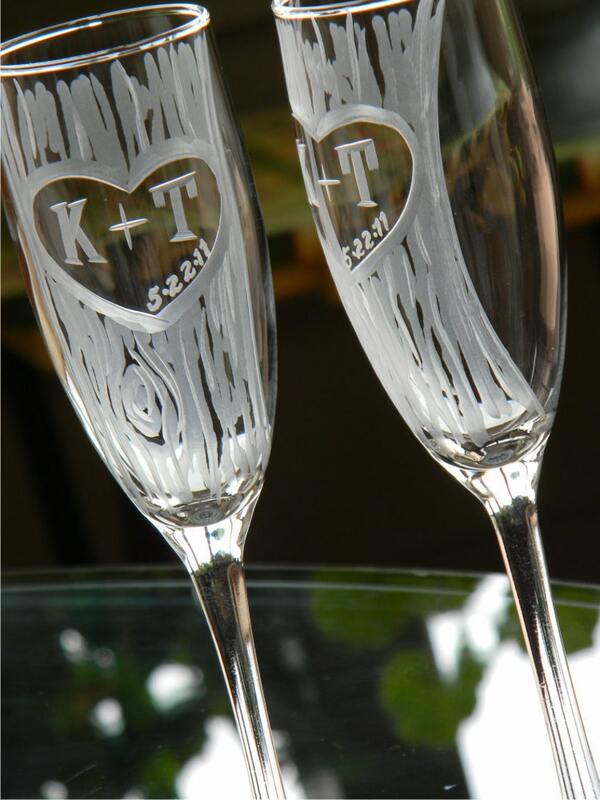 These classic style champagne flutes start out blank, with a clear glass canvas to work on. I begin the carving first with the heart and the outline of the tree, I spend a good time using a round smooth carving stone to create the grain and knots of the trunk, and lastly I cut your initials and date in the heart to for a custom finish! Beautiful! Items came packed well, no risk of breaking, and lovely design. We will cherish these.